A necklace with various chain from different pieces found over time. Detailed with service tags found at local antique store in Nashville, TN and key found at flea market. 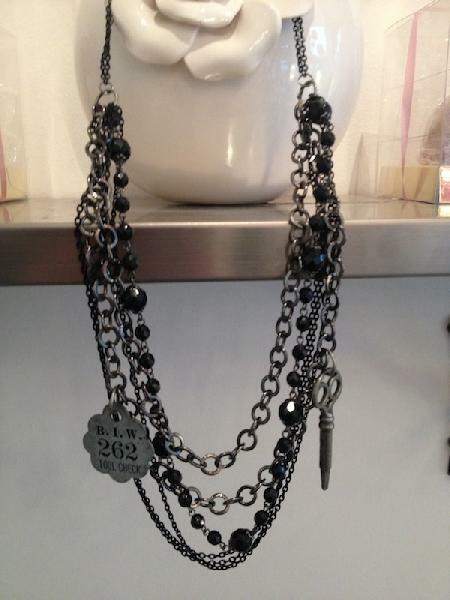 Boost up your outfit with a statement piece that this necklace will offer.